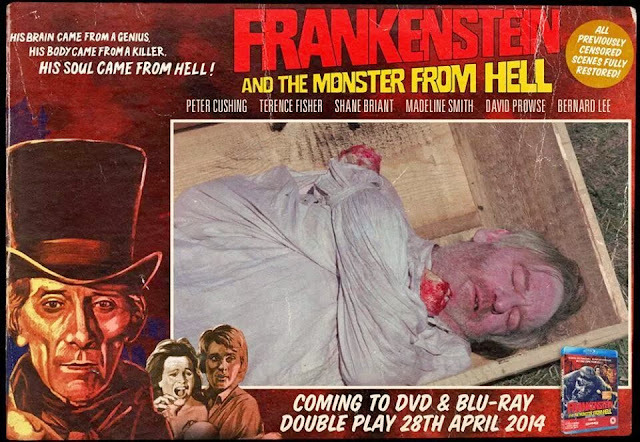 The Hammer classic ‘Frankenstein And The Monster From Hell’ is out now on 2-disc DVD & single-disc Blu-ray for the first ever time in the UK! The final feature film directed by the legendary Terence Fisher, ‘Frankenstein And The Monster From Hell’ features yet another standout performance by the brilliant Peter Cushing as the mad baron. The film is also notable for the pre-Star Wars pairing of the actors who would four years later reunite to play two of the most iconic villains in the cinematic galaxy – Darth Vader (David Prowse) and Grand Moff Tarkin (Cushing).